﻿ NIFM - Mind Controlling Program level 2 for stock market traders and investors - Speaker Mr. R K Arora . Have you ever heard of somebody making quick money in the stock market without having a formal education or even a crash course in the field of the stock market? Don’t be spellbound with the nod of your head connoting a big Yes. Even you can do the same with Mind Controlling Program for Stock Market. The Great Buddha said, 'Though one man conquers a thousand men, a thousand times in battle, he who conquers himself is the greatest.’ ‘To conquer himself’ points towards gaining control over the mind and be victorious. It is also said that Mind is a good servant but a bad master. Hence to use the power of mind constructively, it is important to gain control over the mind. Such Mind Control will empower you with the ability to use the immense potential that the mind stores. 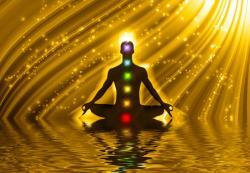 Self-hypnosis is one such way which stands out in offering Mind Control. With the increasing popularity, books on this subject fill the bookstore with dedicated sections on the subject. Lots of featured stories and articles also find a place in the magazines. Another way could be some Mediation where you program the mind, and it’s thought such that the mind visualizes a clear picture of the vision that you want the mind to believe and you are ready to do anything to achieve this. Mind Controlling Program Level 2 is specially designed for people involved in the trade of Stock market, currency market, and commodity market. It helps a trader to focus on strategies and earn money from the market. There is no perfect time to start a good thing. So start now with your mission of Unleashing the Power of Mind Controlling for Stock Trading and use your intuitive Mind power to achieve ultimate success with Market Trade. With the mind controlling program by Online NIFM, you can also conquer your inner self, and once conquered this calm self-serves you with facts from the mind which influence your quick decisions. The self-awareness and self-improvement come your way when you put efforts towards practicing the techniques learned with perseverance and persistence. This mind control when exercised with a focus can move mountains to ascertain the truth of your predictions. This Program is specialized to make money from Share Market, through controlling our Mind while trading and Investing in Stocks. It will help to minimized our errors and help to make quick and right decissions while you are going to make a trade.